Build the city of your dreams! Help the four magicians by using your match-3 skills to build the most splendid city in the entire world. Match building materials, food, gold, and magical artifacts to build resources for construction! Build a marvelous city for the King and host the King's birthday party. 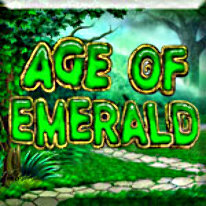 With over 200 levels and 30 buildings to build, Age of Emerald has something for everybody! Collect over 30 different resources and use 5 magical bonuses to build your grand city!